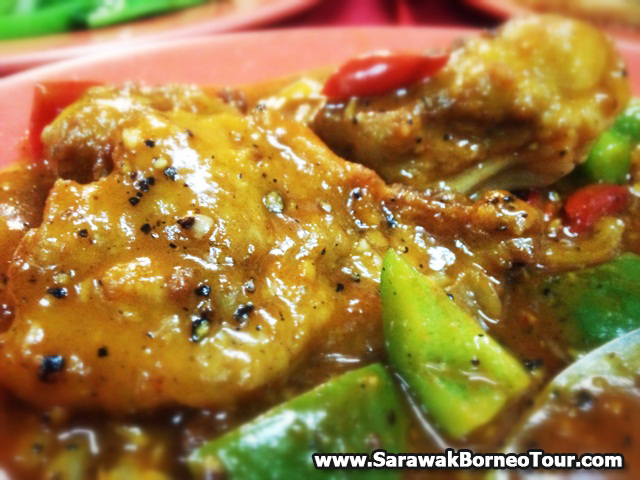 If you have been working in West Malaysia for several years and are now returning to Sarawak, let us tell you a secret. 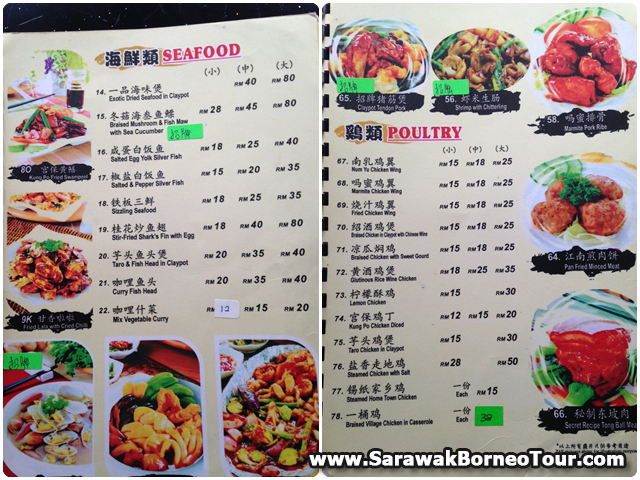 If you have been yearning for that Kuala Lumpur Cantonese cooking style dishes, then you can find just the restaurant here in Kuching. It is located Golden Jade Restaurant. The taste is a bit on the heavy side, but we thoroughly enjoyed our dinner that night. Let us share with you what we ate. We had stew pork with mui chye (salted vegetables). Thick succulent stripes of pork stewed to tenderness with salted vegetables. In the olden days, most people love to eat it with plain porridge. 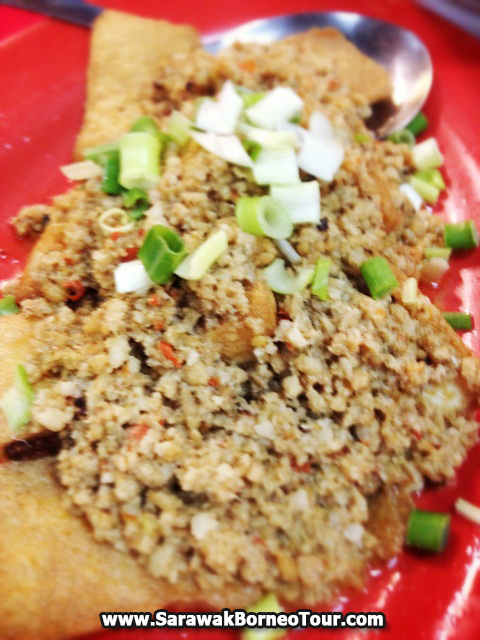 Tofu deep fried with anchovies and mince pork. 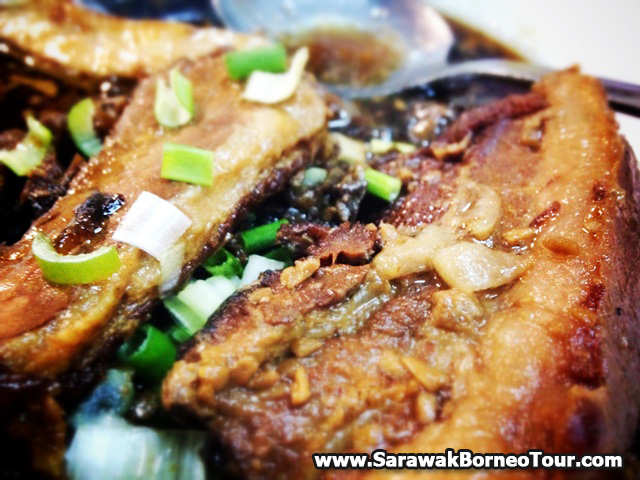 Most restaurants here in Kuching usually deep fried tofu with mincemeat and soya sauce poured on top of the tofu. Here is a slightly different version, we had mince pork and anchovies deep fried with onions and soya sauce, and then poured over the deep fried tofu. It was delicious, and it prompted me to cook the same dish at home over the National Day weekend. The captain recommended us their new dish, which was Mongolian pork deep fried with pepper and vegetables. We absolutely loved this dish. The taste was more on the heavy side, but we loved the peppery taste of the pork. Ohh lala! I just love it and ate most of it. 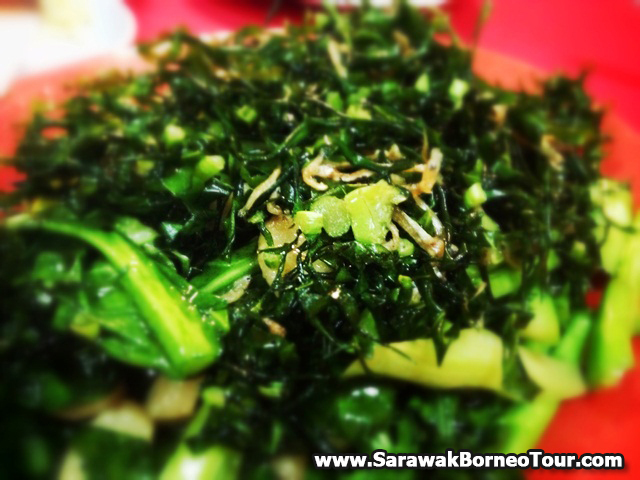 We also ordered this rather new style cooking of kailan vegetables that had its leaves sliced into thin slices and then deep fried with anchovies. Then it is stir fried again with its other branches. We wanted to order steamed fish but they only had Tilapia fish that night but we did not like Tilapia fish. This dish like how it is cooked in most Chinese restaurants in Kuala Lumpur, it is steamed, and with lots of sliced ginger over it. 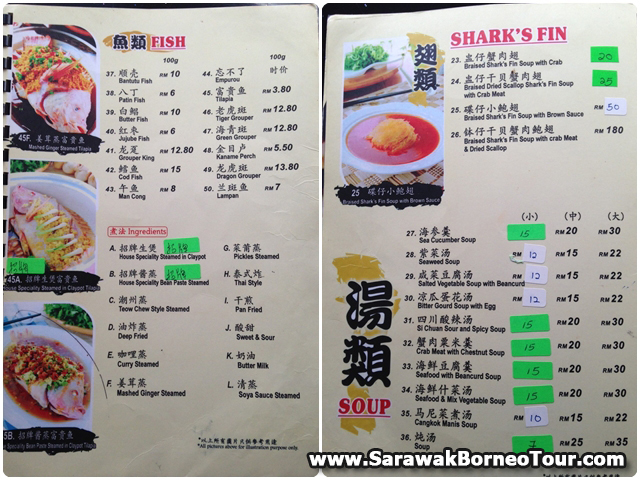 Most of the restaurants here in Kuching would steam the fish with tofu, tomatoes, ginger and chilly. The taste would be too bland for us. After a while, you will get bored of eating the same cooking style dish all the time. We also ordered a sweet corn soup. Flavour was nice, though nothing extra ordinary here. The whole meal cost us only RM88. All in all, we would give it an 8 out of 10 rating. 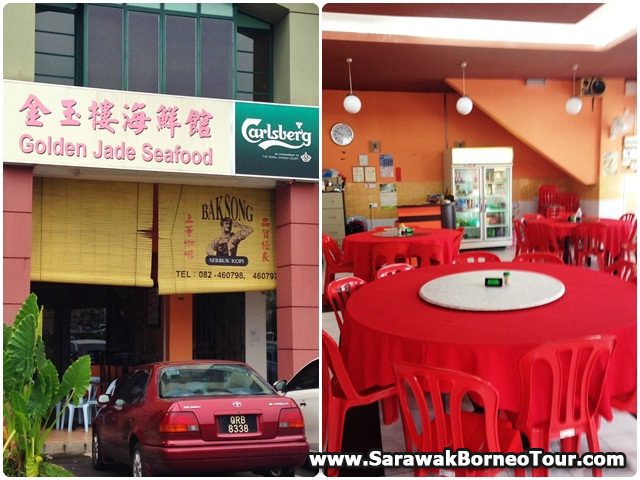 If you are in Kuching and do not know where to go for your meal, do drop by Golden Jade Restaurant and we are sure you will love the food. Be warned though, the taste is more on the heavy side but you will definitely ask for 2nd bowl of rice. Bon Appetit!